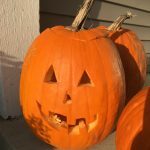 We close for the season on October 31 at 3:00pm! 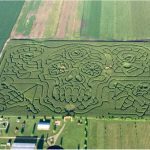 Our corn maze and all other Oswego farm activities will be open on Saturday and Sunday from 9-6pm. 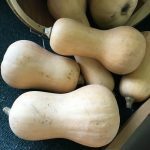 Our Oswego pick-your-own pumpkin patch will continue to be open today through Sunday from 9-6pm and Monday, the 31st, from 9-3pm. All farmstand locations will close for the season on Monday, October 31st at 3pm! Thanks for a great season! 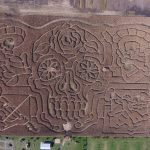 “Day of the Dead” Corn Maze is open weekends & Columbus Day! New Michigan apples are delivered twice a week! 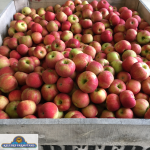 We get deliveries each week of freshly picked Michigan apples at all of our locations. Our apple orchard has been picked clean so come and enjoy what our Midwest neighbors have to offer. And, yes, we are still getting your favorite — Honeycrisp!